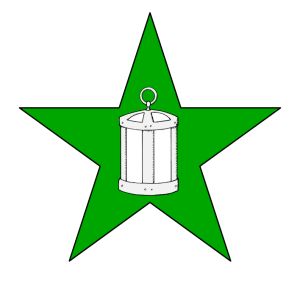 In addition to the primary branch armory, Østgarðr has also registered badges corresponding to several orders and awards of honor. 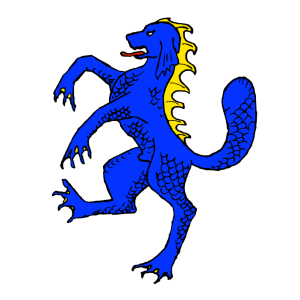 The blazon was initially approved as “a sea­horse (hippocampus) proper”; the phrasing was changed to “a natural sea-horse proper” at a later date. This registration has been the subject of some discussion because the only record of the submission is monochrome and lacks tricking marks that would tell us which colors were to be used, and nobody knows for sure what color a “proper” natural seahorse is meant to be — real seahorses come in a variety of colors including brown, yellow, red, blue, green, and purple, as well as striped and multicolor patterns. The online armory lists this is being for “an award of honor: purple ribbon for arts, gold for outstanding service”. This is the only such listing I could find in the armory; all other badges with designations include the name of an order or award or guild or the like. Update, March 2017: Thanks to the Laurel Archivist, Baroness Shauna of Carrick Point, for filling in some background here — it turns out that the cover letter for the April ’81 LoAR describes the procedures for registering the name of orders and awards, and mentions a list of all previously-reported awards, titles, and orders which were grandfathered at that time. Therefore the dating of the Order of the Seahorse to April 1981 merely indicates that it was instituted some time before this; most likely around the same time as the badge above was registered. The Order of Precedence shows the first members of the Order received that honor in June 1975. 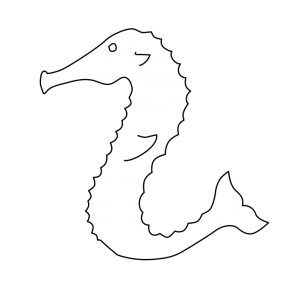 The description of the Order of the Seahorse matches the “arts or service” intent of the “natural sea-horse proper” award listed above, but it is not formally linked to it in the armory records. In recent years it has been said that there is no fixed appearance of the award for the Order of the Seahorse, and instead each recipient is allowed to choose its form for themselves, which may result from an attempt to interpret the vague blazon of the above badge. A sea-dog rampant azure, finned Or. 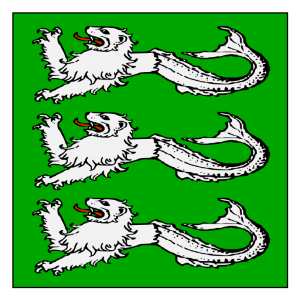 Vert, in pale three sea-lions passant argent. On a mullet vert a lantern argent. 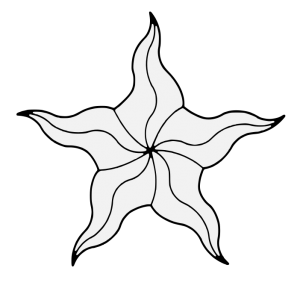 An estoile of five rays argent.